pytest-play is a rec&play (rec not yet available) pytest plugin that let you execute a set of actions and assertions using commands serialized in JSON format. It tries to make test automation more affordable for non programmers or non Python programmers for browser, functional, API, integration or system testing thanks to its pluggable architecture and third party plugins that let you interact with the most common databases and systems. In addition it provides also some facilitations for writing browser UI actions (e.g., implicit waits before interacting with an input element. The Cypress framework for me was a great source of inspiration) and asynchronous checks (e.g., wait until a certain condition is true). You can use pytest-play programmatically (e.g., use the pytest-play engine as a library for pytest-play standalone scenarios or using the pytest-play API implementing BDD steps). Starting from pytest-play>1.4.x it was introduced a new experimental feature that let you use pytest-play as a framework creating Python-free automated tests based on a JSON based serialization format for actions and assertions (in the next future the more user friendly YAML format will be supported). So now depending on your needs and skills you can choose to use pytest-play as a library or as a framework. In this article I’m going to show how to implement a Plone CMS based login test using the python-free approach without having to write any line of Python code. In this section I’m going to add more information about the pytest-play approach and other considerations: if you want to see now how to implement our Python-free automated login test jump to the next section! There are many commercial products or tools that offer solutions for API testing only, browser testing only. Sometimes hyper specialized tools might fit your needs (e.g., a content management system based web application) but sometimes they are not helpful for other distributed applications. For example an API-only platform is not effective for testing a CQRS based application. It is not useful testing only HTTP 200 OK response, you should test that all the expected commands are generated on the event store (e.g., Cassandra) or other side effects. Another example for an IoT applications and UI/browser only testing platforms. You cannot test reactive web apps only with a browser, you should control also simulated device activities (e.g., MQTT, queues, API) for messages/alarms/reports) or any other web based interactions performed by other users (e.g., HTTP calls); you might need to check asynchronously the expected results on web sockets instead of using a real browser implementing when some actions are performed. using a serialization format (JSON at this time of writing, YAML in the next future) that should be more affordable for non technical testers, non programmers or programmers with no Python knowledge. In addition if you are a technical user you can extend it writing your own plugins, you can provide the integration with external tools (e.g., test management tools, software metrics engines, etc), you can decide the test abstraction depending on deadlines/skills/strategy (e.g., use plain json files, a programmatic approach based on json scenarios or BDD steps based on pytest-play). For example pytest-play doesn’t provide a test scenario recorder but it enforces users to understand what they are doing. It requires a very very little programming knowledge for writing some assertions using simple code expressions but with a little training activity it is still affordable by non programmers (you don’t have to learn a programming language, just some basic assertions). It is not feature complete but it is free software. test automation framework thoughts plus a comprehensive, detailed look at using pytest and Jenkins for automated testing. In this example we’ll see how to write and execute pure json pytest-play scenarios with test data decoupled by the test implementation and test parametrization. I’m using the available online Plone 5 demo site kindly hosted by Andreas Jung (www.zopyx.com). Thanks to the metadata file you have just one scenario and it will be executed 3 times (as many times as test data rows)! There is only a warning I have to remove but it worked and we got exactly 3 different test runs for our login scenario as expected! Tweets about pytest-play happens on @davidemoro. In this article I’ll share some personal thoughts about Test Automation Frameworks; you can take inspiration from them if you are going to evaluate different test automation platforms or assess your current test automation solution (or solutions). Despite it is a generic article about test automation, you’ll find many examples explaining how to address some common needs using the Python based test framework named pytest and the Jenkins automation server: use the information contained here just as a comparison and feel free to comment sharing alternative methods or ideas coming from different worlds. It contains references to some well (or less) known pytest plugins or testing libraries too. Before talking about automation and test automation framework features and characteristics let me introduce the most important test automation goal you should always keep in mind. You invest in automation for a future return of investment. So what I mean is that test automation is not easy: it doesn’t mean just recording some actions or write some automated test procedures because how you decide to automate things affects the ROI. Your test automation strategy should consider your tester technical skills now and future evolutions, considerations about how to improve your system testability (is your software testable? ), good test design and architecture/system/domain knowledge. In other words be aware of vendors selling “silver bullet” solutions promising smooth test automation for everyone, especially rec&play solutions: there are no silver bullets. A test automation solution should be enough generic and flexible, otherwise there is the risk of having to adopt different and maybe incompatible tools for different kind of tests. Try to imagine the mess of having the following situation: one tool or commercial service for browser based tests only based on rec&play, one tool for API testing only, performance test frameworks that doesn’t let you reuse existing scenarios, one tool for BDD only scenarios, different Jenkins jobs with different settings for each different tool, no test management tool integration, etc. A unique solution, if possible, would be better: something that let you choose the level of abstraction and that doesn’t force you. Something that let you start simple and that follow your future needs and the skill evolution of your testers. That’s one of the reasons why I prefer pytest over an hyper specialized solution like behave for example: if you combine pytest+pytest-bdd you can write BDD scenarios too and you are not forced to use a BDD only capable test framework (without having the pytest flexibility and tons of additional plugins). are you able to extend your solution writing or installing third party plugins? Typically a test automation engineer will be able to drive automated test runs using the framework command line interface (CLI) during test development but you’ll find out very soon that you need an automation server for long running tests, scheduled builds, CI and here it comes Jenkins. 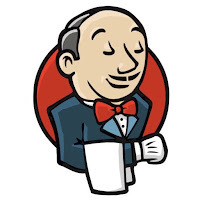 Jenkins could be used by non technical testers for launching test runs or initialize an environment with some test data. Continuous Integration and Continuous Delivery. As an extensible automation server, Jenkins can be used as a simple CI server or turned into the continuous delivery hub for any project. So thanks to Jenkins everyone can launch a parametrized automated test session just using a browser: no command line and nothing installed on your personal computer. 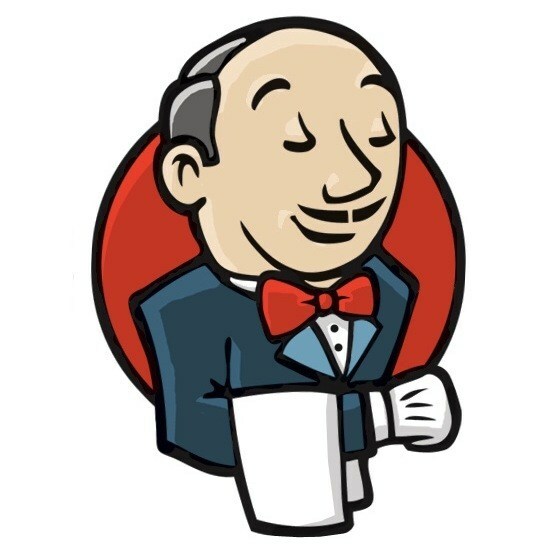 So more power to non technical users thanks to Jenkins! With Jenkins you can easily schedule recurrent automatic test runs, start remotely via external software some parametrized test runs, implement a CI and many other things. In addition as we will see Jenkins is quite easy to configure and manage thanks to through the web configuration and/or Jenkins pipelines. Basically Jenkins is very good at starting builds and generally jobs. In this case Jenkins will be in charge of launching our parametrized automated test runs. And now let’s talk a little bit of Python and the pytest test framework. I don’t know if there are some articles talking about statistics on the net about the correlation between Test Automation Engineer job offers and the Python programming language, with a comparison between other programming languages. If you find a similar resource share with me please! My personal feeling observing for a while many Test Automation Engineer job offers (or any similar QA job with some automation flavor) is that the Python word is very common. Most of times is one of the nice to have requirements and other times is mandatory. Let’s see why the programming language of choice for many QA departments is Python, even for companies that are not using Python for building their product or solutions. Do you see any difference? If you are trying to explain to a non programmer how to print a line in the terminal window with Java you’ll have to introduce public, static, void, class, System, installing a runtime environment choosing from different version, installing an IDE, running javac, etc and only at the end you will be able to see something printed on the screen. With Python, most of times it comes preinstalled in many distributions, you just focus on what to need to do. Requirements: a text editor and Python installed. If you are not experienced you start with a simple approach and later you can progressively learn more advanced testing approaches. So no expect(a).not.toBeLessThan(b), expect(c >= d).toBeTruthy() or expect(e).toBeLessThan(f): with Python you just say assert a >= 0 so nothing to remember for assertions! Python is a big fat and very powerful programming language but it follows a “pay only for what you eat” approach. If Python is the language of your choice you should consider the pytest framework and its high quality community plugins and I think it is a good starting point for building your own test automation solution. The pytest framework (https://docs.pytest.org/en/latest/) makes it easy to write small tests, yet scales to support complex functional testing for applications and libraries. I strongly suggest to have a look at the pytest documentation but I’d like to make some examples showing something about fixtures, code reuse, test parametrization and improved maintainability of your tests. If you are not a technical reader you can skip this section. When should be created a new instance of our test resource? How can I determine some teardown actions at the end of the test resource life? You can add a sort of fixture finalizer after the yield line that will be invoked at the end of our test resource lifecycle. For example you can close a connection, wipe out some data, etc. How can I execute all my existing tests using that fixture as many as your fixture configurations? You can do that with params. For example you can reuse all your existing tests verifying the integration with different real databases, smtp servers. Or if you have the web application offering the same features deployed with a different look&feel for different brands you can reuse all your existing functional UI tests thanks to pytest’s fixture parametrization and a page objects pattern where for different look&feel I don’t mean only different CSS but different UI components (e.g. completely different datetime widgets or navigation menu), components disposition in page, etc. # and make some assertions. This is only pytest, as we will see there are many pytest plugins that extend the pytest core features. We’ve discussed about Python, pytest and Jenkins main ingredients for our cocktail recipe (shaken, not stirred). Optional ingredients: integration with external test management tools and selenium grid providers. Thanks to pytest and its plugins you have a rich command line interface (CLI); with Jenkins you can schedule automated builds, setup a CI, let not technical users or other stakeholders executing parametrized test runs or building test always fresh test data on the fly for manual testing, etc. You just need a browser, nothing installed on your computer. Now lets comment all our features provided by the Jenkins “build with parameters” graphical interface, explaining option by option when and why they are useful. In this article we are not talking about regular unit tests, the basis for your testing pyramid. Instead we are talking about system, functional, API, integration, performance tests to be launched against a particular instance of an integrated system (e.g., dev, alpha or beta environments). You know, unit tests are good they are not sufficient: it is important to verify if the integrated system (sometimes different complex systems developed by different teams under the same or third party organizations) works fine as it is supposed to do. It is important because it might happen that 100% unit tested systems doesn’t play well after the integration for many different reasons. So with unit tests you take care about your code quality, with higher test levels you take care about your product quality. Thanks to these tests you can confirm an expected product behavior or criticize your product. So thanks to the ENVIRONMENT option you will be able to choose one of the target environments. It is important to be able to reuse all your tests and launch them against different environments without having to change your testware code. Under the hood the pytest launcher will be able to switch between different environments thanks to the pytest-variables parametrization using the –variables command line option, where each available option in the ENVIRONMENT select element is bound to a variables files (e.g., DEV.yml, ALPHA.yml, etc) containing what the testware needs to know about the target environment. Generally speaking you should be able to reuse your tests without any modification thanks to a parametrization mechanism.If your test framework doesn’t let you change target environment and it forces you to modify your code, change framework. This option makes sense only if you are going to launch browser based tests otherwise it will be ignored for other type of tests (e.g., API or integration tests). You should be able to select a particular version of browser (latest or a specific version) if any of your tests require a real browser (not needed for API tests just for making one example) and preferably you should be able to integrate with a cloud system that allows you to use any combination of real browsers and OS systems (not only a minimal subset of versions and only Firefox and Chrome like several test platforms online do). Thanks to the BROWSER option you can choose which browser and version use for your browser based tests. Under the hood the pytest launcher will use the –variables command line option provided by the pytest-variables plugin, where each option is bound to a file containing the browser type, version and capabilities (e.g., FIREFOX.yml, FIREFOX-xy.yml, etc). Thanks to pytest, or any other code based testing framework, you will be able to combine browser interactions with non browser actions or assertions. A lot of big fat warnings about rec&play online platforms for browser testing or if you want to implement your testing strategy using only or too many browser based tests. You shouldn’t consider only if they provide a wide range of OS and versions, the most common browsers. They should let you perform also non browser based actions or assertions (interaction with queues, database interaction, http POST/PUT/etc calls, etc). What I mean is that sometimes only a browser is not sufficient for testing your system: it might be good for a CMS but if you are testing an IoT platform you don’t have enough control and you will write completely useless tests or low value tests (e.g., pure UI checks instead of testing reactive side effects depending on eternal triggers, reports, device activity simulations causing some effects on the web platform under test, etc). This option is useful for browser based tests too. Many Selenium grid vendors provide real browser on real OS systems and you can choose the desired combination of versions. Same for the above options, many vendor solutions let you choose the desired screen resolution for automated browser based testing sessions. Pytest let you select the tests you are going to launch selecting a subset of tests that matches a pattern language based on test and module names. It is used in combination with markers, a sort of test tags. Markers can be used alone or in conjunction with keyword expressions. They are a sort of tag expression that let you select just the minimum set of tests for your test run. Under the hood the pytest launcher uses the command line syntax -m “EXPRESSION”. It’s up to you creating granular keywords for features and all you need for select your tests (e.g., functional, integration, fast, negative, ci, etc). All my tests are decorated with the test case identifier provided by the test management tool, in my company we are using TestRail. If this option is enabled the test results of executed tests will be reported in the test management tool. Implemented using the pytest-testrail plugin. The debug mode enables verbose logging. In addition for browser based tests open selenium grid sessions activating debug capabilities options (https://www.browserstack.com/automate/capabilities). For example verbose browser console logs, video recordings, screenshots for each step, etc. In my company we are using a local installation of Zalenium and BrowserStack automate. The first usage let you gain confidence with a new build and you want to stop on the very first failure for analyzing what happened. As you can imagine you may combine this option with COUNT, PARALLEL_SESSIONS, RANDOM_ENABLE and DEBUG depending on your needs. You can test your tests robustness too. Under the hood implemented using the pytest’s -x option. Under the hood implemented with pytest-xdist’s command line option called -n NUM and let you execute your tests with the desired parallelism level. pytest-xdist is very powerful and provides more advanced options and network distributed executions. See https://github.com/pytest-dev/pytest-xdist for further options. For browser based testing by default your tests will be launched on a remote grid URL. If you don’t touch this option the default grid will be used (a local Zalenium or any other provider) but in case of need you can easily switch provider without having to change nothing in your testware. If you want you can save money maintaining and using a local Zalenium as default option; Zalenium can be configured as a selenium grid router that will dispatch capabilities that it is not able to satisfy. This way you will be able to save money and augment a little bit the parallelism level without having to change plan. If you are trying to diagnose an intermittent failure, it can be useful to run the same test or group of tests over and over again until you get a failure. You can use py.test’s -x option in conjunction with pytest-repeat to force the test runner to stop at the first failure. Based on pytest-repeat’s –count=COUNT command line option. This option enables random test execution order. At the moment I’m using the pytest-randomly plugin but there are 3 or 4 similar alternatives I have to try out. By randomly ordering the tests, the risk of surprising inter-test dependencies is reduced. If you get a failure executing a random test, it should be possible to reproduce systematically rerunning the same tests order with the same test data. This option will be discussed in a dedicated blog post I am going to write. Basically you are able to paste a JSON serialization of actions and assertions and the pytest runner will be able to execute your test procedure. You need just a computer with a browser for running any test (API, integration, system, UI, etc). You can paste how to reproduce a bug on a JIRA bug and everyone will be able to paste it on the Jenkins build with parameters form. See pytest-play for further information. It provides a hello world example that let you start with the test technique more suitable for you: plain selenium scripts, BDD or pytest-play JSON test procedures. If you want you can install page objects library. So you can create a QA project in minutes. Your QA project will be shipped with a Jenkinsfile file that requires a tox-py36 docker executor that provides a python3.6 environment with tox already installed; unfortunately tox-py36 is not yet public so you should implement it by your own at the moment. Once you provide a tox-py36 docker executor the Jenkinsfile will create for you the build with parameters Jenkins form for you automatically on the very first Jenkins build for your project. I hope you’ll find some useful information in this article: nice to have features for test frameworks or platform, a little bit of curiosity for the Python world or new pytest plugin you never heard about. Feedback and contributions are always welcome. In this article we will see how to write HTTP API tests with pytest using YAML files thanks to pytest-play >= 2.0.0 (pytest-play provides support for Selenium, MQTT, SQL and more. See third party pytest-play plugins). The guest star is Chuck Norris thanks to the public JSON endpoint available at https://api.chucknorris.io/ so you will be able to run your test by your own following this example. Obviously this is a joke because Chuck Norris cannot fail so tests are not needed. Installation is not needed, the only prerequisite is Docker thanks to https://hub.docker.com/r/davidemoro/pytest-play. Inside the above link you’ll find the instructions needed for installing Docker for any platform. If you want to run this example without docker install pytest-play with the external plugin play_requests based on the fantastic requests library (play_requests is already included in docker container). As you can see each scenario will be repeated for any item you provide in test_data structure. It’s time to show off with a GET roundhouse kick! Ping me on twitter @davidemoro sharing your pytest-play implementation against the random Chuck Norris fact generator by category! Let’s get in touch for any suggestion, contribution or comments. Contributions will be very appreciated too!